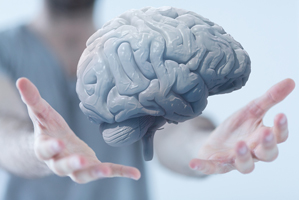 The Montreal Neuroethics Conference for Young Researchers 2015 will be held in Montréal, Québec, on April 17th, 2015 at the Institut de recherches cliniques de Montréal (IRCM), Montréal, Quebec. This one-day international conference is aimed at young researchers, trainees, and students from all fields interested in neuroethics. In addition to the program on the day of the event, we are hosting an essay competition where 5 winning papers in English will be candidates for fast-tracked publication in a special issue of the journal Neuroethics and 5 winning papers in French will be candidates for fast-tracked publication in a special issue of the journal Bioéthique Online. "Our immediate goals in organizing this conference are to increase the visibility of neuroethics among different international student populations and to bring young researchers in neuroethics together to facilitate future collaborations. Young researchers are the future of neuroethics. We feel that a conference specifically tailored for them – no registration fee, opportunities to meet their peers and present their work, panels on hot topics in neuroethics and on career development, etc. – helps to highlight their importance and encourage future work in this field. Montreal is in an excellent position to kick off an event specifically targeted to young researchers because of the institutional support neuroethics has received here over the past several years. 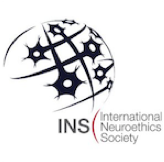 The IRCM’s Neuroethics Research Unit was one of the first dedicated Neuroethics Units in the world and it collaborates with Université de Montréal and McGill University to train the next generation of neuroethicists, including through the offer of neuroethics courses and graduate training."